Enjoy a challenging, competitive game in your backyard with the Triumph Sports 35-7068 washer toss game. 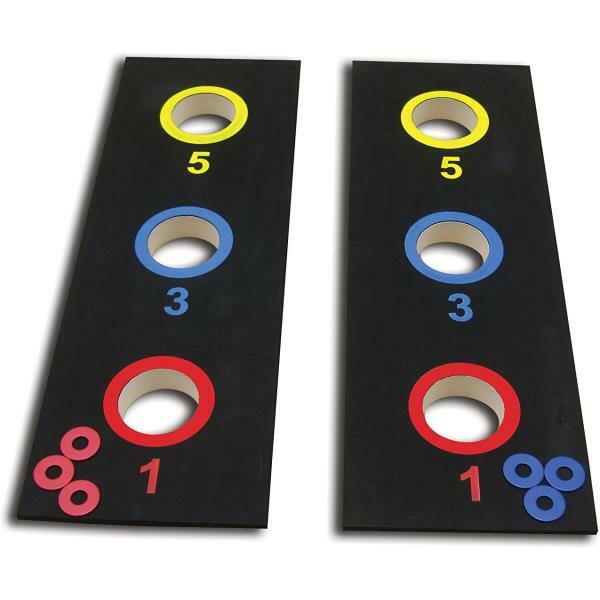 This game features 2 boards with 3 holes, each with their own point value. Take turns tossing the washers on the opposing team's board. Includes 2 35x12 inch boards and 6 washers. Six washers with 3 red and 3 blue. Designed with three holes for maximum scoring. The perfect game to bring to tailgates, barbecues, or any outdoor event for hours of entertainment! 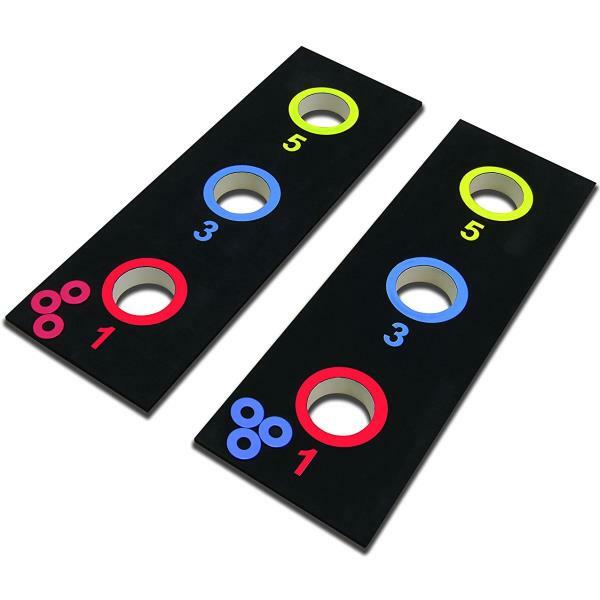 3-hole washer toss game features sturdy and compact construction. Two 35"L x 12"W x 1.77"H game platforms with padded surface to avoid bouncing. Boards feature multicolored target areas with various game points. 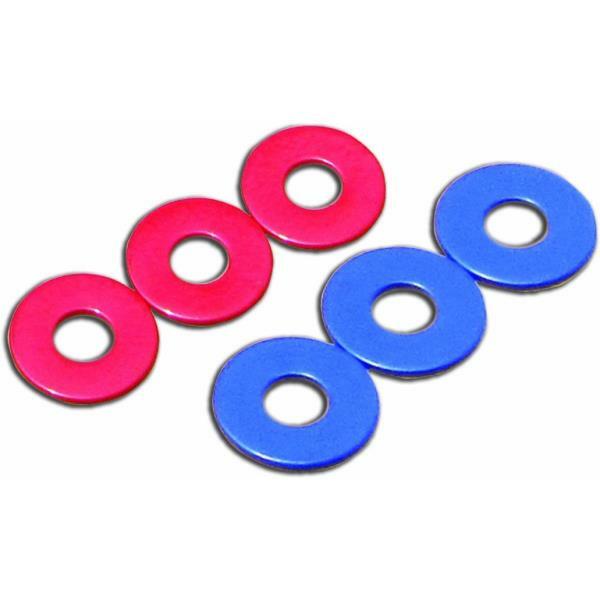 Includes six 2" washers (three red, three blue). Q: How many people can play this game? A: This game can be played 1 on 1, or 2 on 2. Dimensions: 36" x 13" x 5"